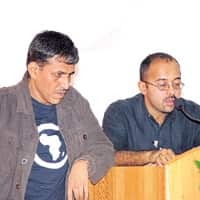 Surfing artists: Manish Bhatt and Raghu Bhat, joint vice-presidents/executive creative directors, Contract Advertising Pvt. Ltd, on how advertisers would do well to spot consumer trends. Trends are like waves. And marketers are the surfboard artists. If you don’t spot trends early enough and ride them, your brand can capsize even before you can scream “David Hasselhoff". But, if you do spot them, your brand will thrive. A great example of a brand leveraging a trend was Northwest Airlines, which correctly anticipated in the late 1980s that more and more Americans would be doing business in Asia. The problem was that most American business people didn’t understand Asian culture (or any culture, for that matter!). Just how low do you bow in Japan? Why does “yes" seem to mean “no" in Thailand? In response, Northwest developed The Asia Series, an integrated programme of TV and radio commercials, copy-rich print ads, direct mail and brochures that helped teach a generation of American businesspeople about the intricacies of doing business in Asia. This programme turned business information into a compelling competitive advantage and helped reposition Northwest from old and stodgy to a leader in cross-cultural international business. So, what will future consumer trends be in India? Well, to know what tomorrow’s consumer will be like, all we have to do is look at our young. They hardly read newspapers or magazines, and prefer to get most of their news online, through mobile phones or blogs. They are relatively quick to embrace new technology such as the TiVo, which could force advertisers to do the unthinkable—create a media plan without a 30-second TV commercial. The number of working women will increase, and open up new brand opportunities (a car for women, who knows?). Rising environmental concerns could force brands and corporates to look at cause-related marketing programmes. Increased traffic congestion and the need for higher efficiencies could lead to a work-from-home culture (videoconferencing for homes, maybe?). A home could become a sanctuary, workplace and leisure dome rolled into one, driving up wine consumption, furniture sales, movie watching, online credit card usage and even second life (mis)adventures!